Welcome back from April vacation! 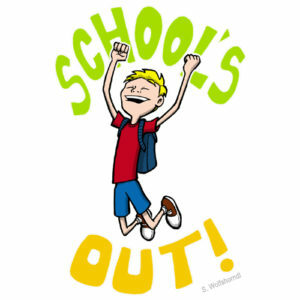 We hope everyone enjoyed the time off and is ready to finish the school year strong! PLEASE HELP US WITH OUR NARROWS FUNDRAISER. Tickets are on sale now! Please help us spread the word and sell tickets. This is a unique and fun event with music by two great bands, some light snacks, and a Chinese auction. This is an adult event and attendees may bring their own beverages (which can include alcohol). We have 200 tickets to sell, let’s see if we can fill the room! We have included the flyer with this email to help you promote this event. It is currently our largest fundraiser and if we all contribute a bit then we will have a lot of people in the audience. Thank you in advance!! Lemonade Day – Saturday May 6th is the Greater Fall River and New Bedford Lemonade Day. Mastery School will have a stand this year right outside our building on Third Street. We need parents to volunteer to make goodies and of course we will have lemonade to sell. We will also need a few students to volunteer to help out on this day. We will be there from 10am-3pm. We are looking for volunteers for a half hour to an hour and need these times covered. Please let us know as soon as possible if you can help out. Even if you can’t make it to help out, take a quick stop by while you’re running around and support our stand. Middle School – The final payment for the Washington DC trip is due May 10th. 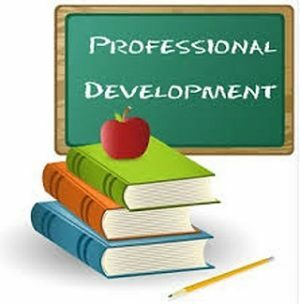 NO SCHOOL – Friday, May 26th and Monday, May 29th for a professional day and Memorial Day. Middle school will be away on a trip to Pennsylvania. We are offering a 7-week summer camp this year. We have flyers available so please take one and let us know if you are interested. We do have limited spots, so please let us know as soon as possible. Thank you! Students that are preparing to move to a new mastery level in September have started to identify their showcase projects. A schedule will be available shortly. All showcases will take place during our last week of school, June 26-30. In Science, Early Years, Primary A, and Primary B students have been working on a module about Animals. Primary A focuses on animals and their babies. Primary B focuses on different types of animals. Primary C focuses on habitats. Intermediate A, B, and C are doing a module about Rocks and Minerals. Intermediate A focuses on different types of rocks and knowing the difference between rocks and minerals. Intermediate B focuses on the processes of how rocks are made. Intermediate C focuses on understanding the rocks cycle and how it changes features on Earth. Middle school is working on a about Forms of Energy and Heat Energy. In Social Studies, Primary A, B, C and Intermediate A are all working on Modules about Civics and Government. Primary A focuses on Community Workers. Primary B focuses on who our current president is. Primary C focuses on Rights and Customs and where ancestors are from. Intermediate A focuses on Bill of Rights, Constitution, and Declaration of Independence. Intermediate B is working on a module about Canada. Intermediate C focuses the Colonies. Intermediate A, B, and C will also be working on details about national, state, and local government. We are working on a field trip to visit the state house in June. Detailed have not been worked out as of yet. Middle school is working on a module about Ancient Israel. Homework: Students ages 4-5 should read a minimum of 15 minutes, ages 6-7 should read a minimum of 20 minutes, ages 8-9 should read 30 minutes, and students 10 and up should read a minimum of 45 minutes. Please remember that if students leave early or are out sick they will need to make up that reading at home. Students in Primary B up through Middle have been assigned homework in math each night from Monday through Thursday. A homework bin with individual student files is set up near the exit so that students can either take their homework as they leave, or do it during homework time at school. This is meant to keep students who are unable to stay for homework time accountable for their work and keep them working at a steady pace to accomplish modules to the best of their ability. So far the files have been working. If you have any questions, please feel free to ask. Students should also be studying their spelling and vocabulary words every night. If you have any questions or concerns about your child and what they are learning, please let us know and we will set up an appointment to discuss it. Thank you!